The Trauma Informed Care Clinical Group is a subcommittee of the COACT Colorado System of Care, an initiative funded by the Substance Abuse and Mental Health Services Administration of the U.S. Department of Health and Human Services. 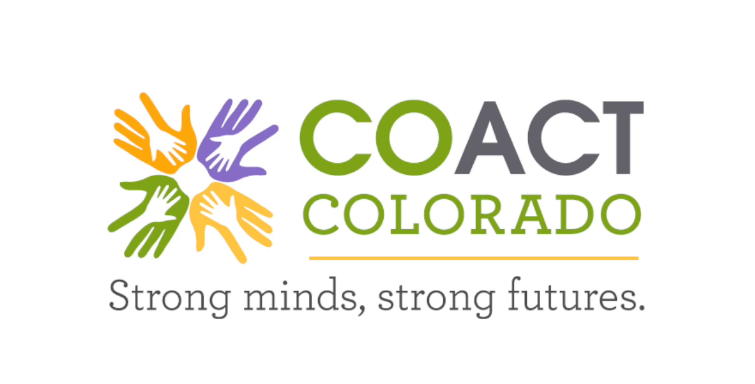 The initiative is housed within the Colorado Department of Human Services, Office of Behavioral Health, in partnership with the Office of Children, Youth, and Families. The Trauma Informed Care Clinical Group is comprised of licensed mental health professionals with extensive experience serving at-risk children and families. The group provides free consultation to organizations serving children and families who have experienced trauma. To request consultation from this group, please contact Dr. Ashley Brock-Baca at ashley.brock-baca@state.co.us or Dr. Jerry Yager at drjerry@goldcreekcenter.com. The Colorado Department of Human Service's Office of Behavioral Health (OBH) administers the two state mental health hospitals, purchases services to prevent and treat mental health and substance use disorders through contracts with behavioral health providers. OBH also regulates the public behavioral health system, and provides training, technical assistance, evaluation, data analysis, prevention services, and administrative support to behavioral health providers and relevant stakeholders.